Strikes for Kids, a charity that benefits children’s and youth organizations planned a bowling event for July 12 of last year, in which twenty-five NFL players were scheduled to attend and assist in raising money for Boys and Girls Clubs of Southern Nevada. The event was to take place at Strike Zone Bowling Center, a bowling alley that is part of the Sunset Hotel and Casino complex. 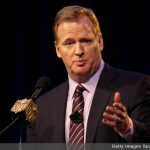 According to court documents, in late June 2015, a mere two weeks prior to the event, Joseph Allen, the founder of Strikes for Kids, was contacted by a lawyer from the NFL’s office in New York, with alleged concern that NFL players attending the Charity Event would be in violation of the NFL gambling policy.